This weekend we had a really bad rain day which kept everyone in the Northeast indoors! Not just rain but freezing rain, creating slick sidewalks and not so safe driving conditions! Needless to say, we were pretty much stuck in the house until it warmed up a little later in the day! But, we made the best of it and did some fun rain day activities! In the morning we made delicious, amazing muffins (recipe coming soon!) and I let Carter help put in the ingredients and even turn on the mixer! 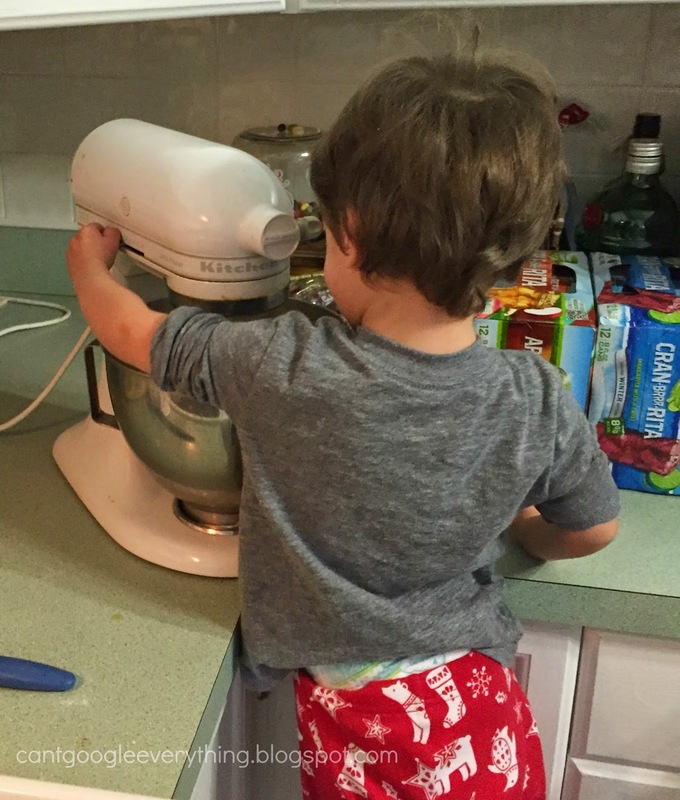 I loved pushing the handle to the on the mixer and was so proud of himself for helping! 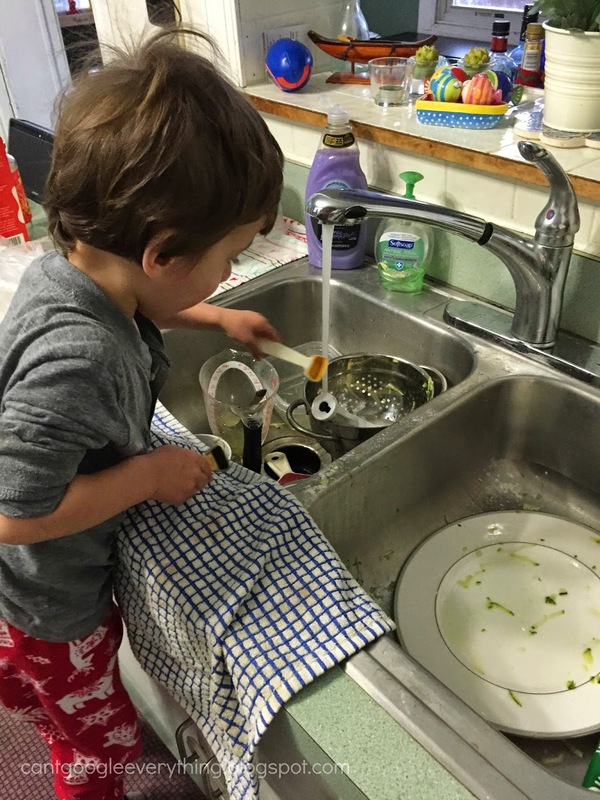 After baking I asked if he wanted to help do the dishes, which of course he did because he loves playing in the sink! I let him “wash” for awhile and he had a blast filling each thing up with water and moving the water from container to container! What rainy day would be complete without a movie? 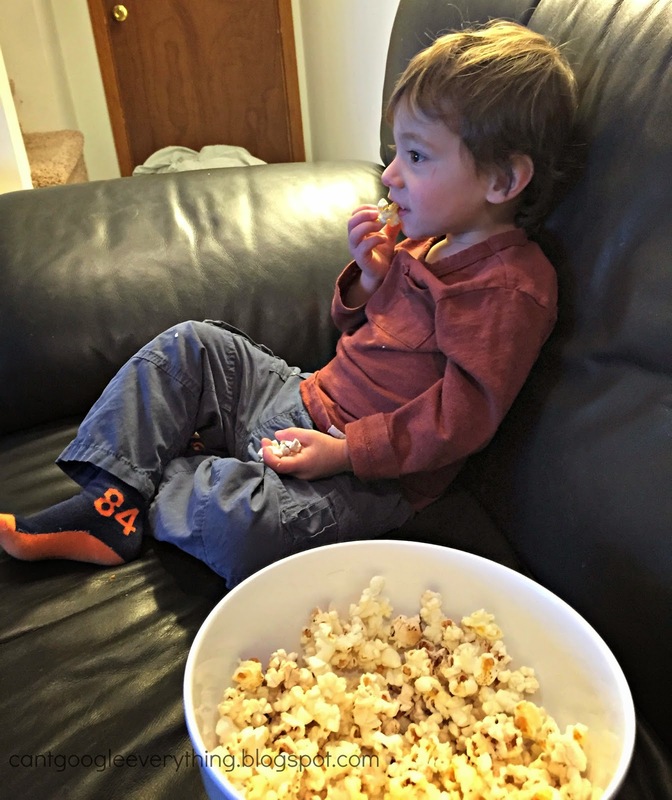 Our movie of choice, of course, Disney’s Planes (again). Pretty sure I’ve seen this about once per day for about 3 weeks now! Rain days can lead to some pent up energy and since we couldn’t drive anywhere because of the ice we had to improvise some ways to expend some energy inside the house! 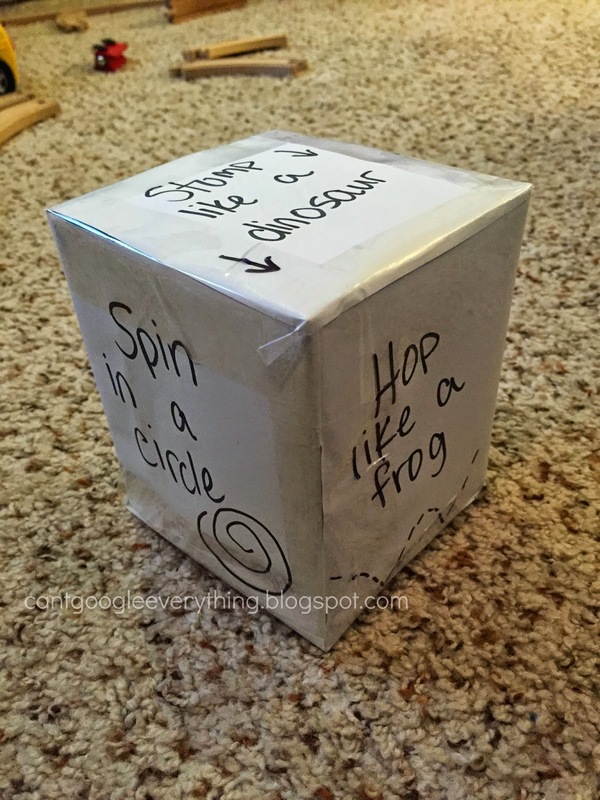 For a fun game I created this activity dice! To play the game just roll the dice and your kids do whatever activity it lands on, as many times as you want! All you need is: a square box (I used a tissue box), white paper, scissors, markers and tape. Tape the white paper over your box. You may need to cut it to size here and there depending on the size of your box and your paper. Write your activities on each side with the marker and thats it! Happy rain day! 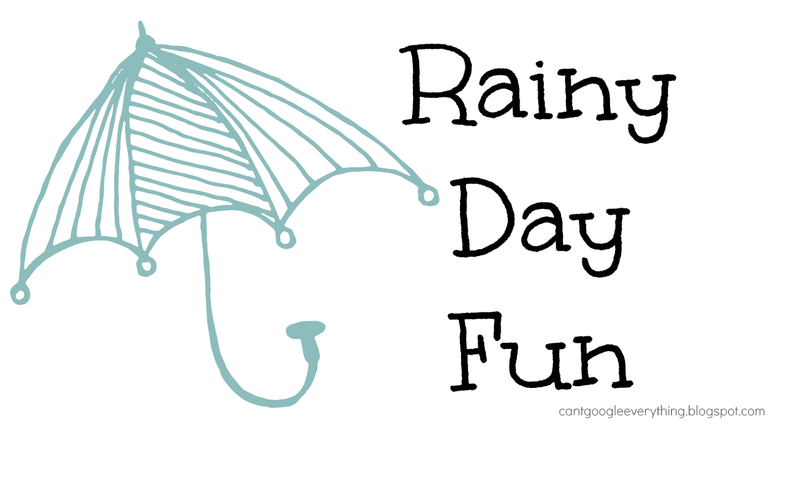 What are you favorite rainy day fun activities? Time for Mom is a place for mom bloggers to link up and connect with other mom bloggers! You do not have to link up a post about parenting only, your post can be about anything as long as you’re a mom! We only ask that it is today’s post or a recent one, and that you don’t link up the same post each week. Please remember to check out a few others in the hop! It’s no fun to link and run! We are here to build a community of mom bloggers and get to know each other! Every week each of the co-hosts picks a blogger to feature from the week before! 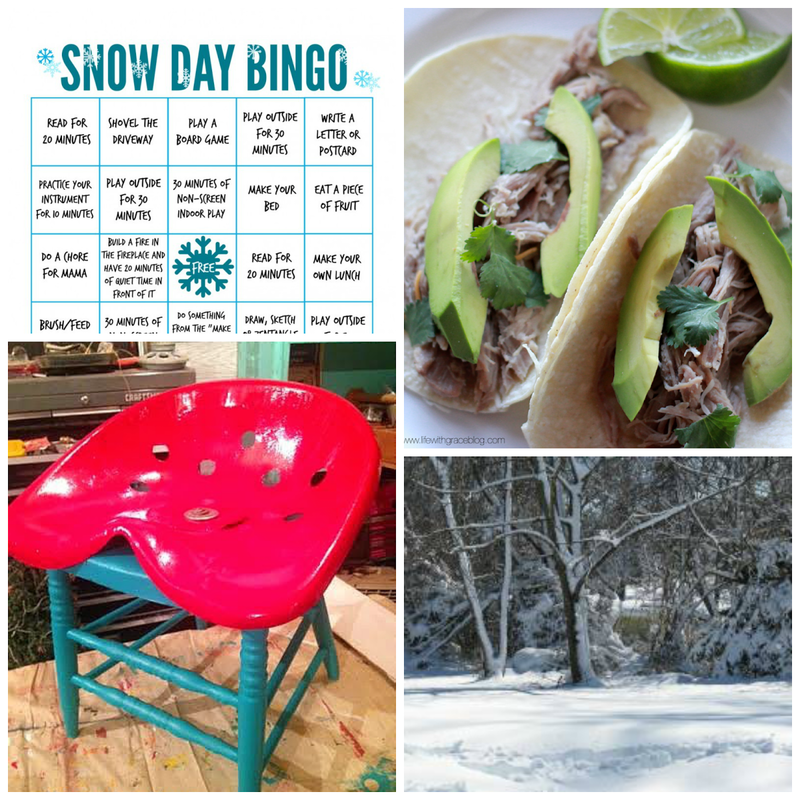 Check out our picks from last week’s link up! Be sure to say “hi” if it’s your first time linking up! We love to play games on rainy days. My kids are older, and we LOVE Ticket To Ride. That activity block is a fantastic idea! I love it! My kids are older so we can spend rainy days cuddles on the coach watching movies. This is my first time linking up with you! Thanks for hosting. I love that activity block idea. I think I'll make one to take with me when I substitute teach at preschool. Those are SUPER cute ideas!!! I love the box/dice one! Absolutely love the 'roll the dice' idea, to tire out the kid! Thanks for the linky party! The activity dice is just a wonderful idea. I’ll be having a house full of 4 and 5 year olds for my daughter’s birthday party in August and it is windy month in my city, so outdoors might not be possible. This provides a great way to keep a group entertained for a while! Keep up the good work! You realize, a lot of persons are looking round for this info, you can help them greatly. Actually I would not like you to use my writing on your website. You can use a picture and link back to my post if it’s relevant to what you are writing about. Thank you!